You are here: Home > News > UAHS Announces Move to Old Museum Building! UAHS is on the move! 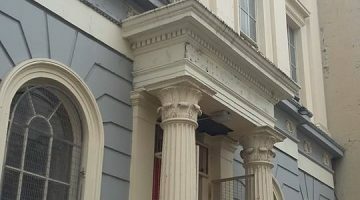 We are delighted to announce that in early January 2017 the Ulster Architectural Heritage Society is moving to the Old Museum building at 7 College Square North, Belfast. This striking Neo-Classical building is Grade A listed, sits in the heart of Belfast City, and retains many original features. It was built in 1831 for the Belfast Natural History and Philosophical Society, (BNHPS). 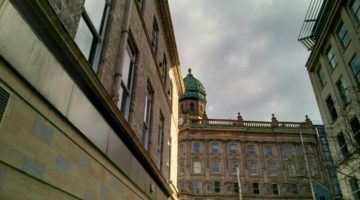 Originally the Belfast Museum, the BNHPS donated its collections in the early 1900s to the Belfast Municipal Museum, later the Ulster Museum. It is the former home of the Mummy, that is still a draw for audiences to the Ulster Museum today. 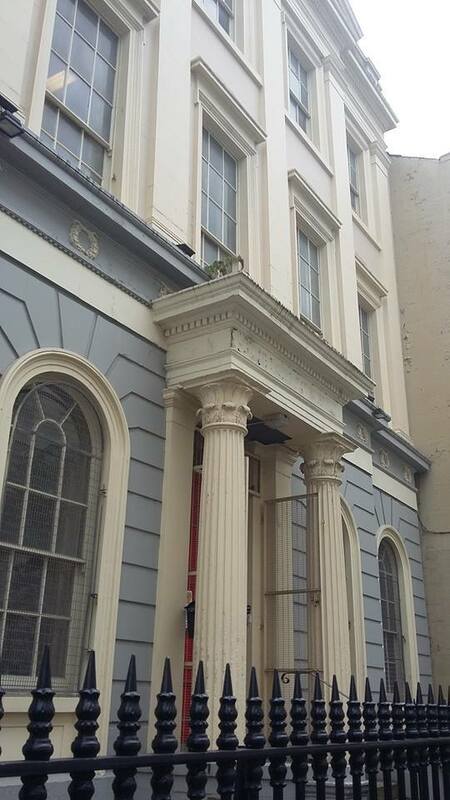 The Belfast Natural History and Philosophical Society has kindly agreed UAHS as temporary tenants in the ground floor. We hope to use the opportunity of this move to support the growth of the UAHS and, where possible strengthen its engagement with the public. Despite being in use for almost 200 years, and part occupied, the Old Museum building needs a comprehensive programme of regeneration works and a sustainable future use to ensure its continued survival. 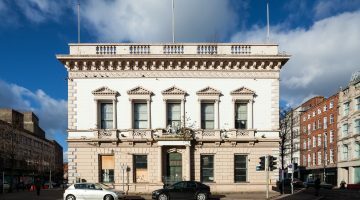 By taking temporary offices in the Old Museum we will be working to raise awareness of the vulnerability of the building and to try to work with the Belfast Natural History and Philosophical Society towards a better outcome for its future. Watch out for updates on our move. Come visit us in the New Year. Our move has been kindly supported by Ulster Carpets.